One of the 35 guest rooms at Crystalbrook’s new Little Albion Guest House. 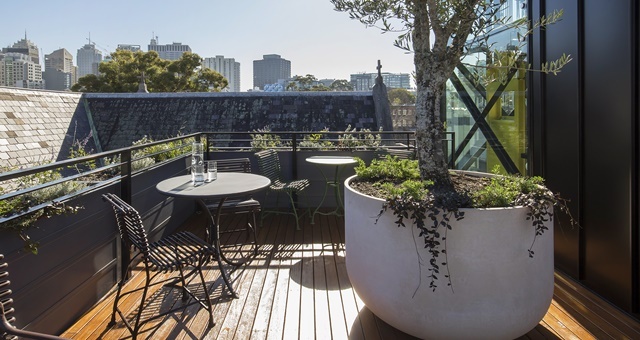 Boutique Surry Hills property Little Albion Guest House, located on the Sydney CBD fringe, has become part of the Crystalbrook Collection Hotels & Resorts family just three months after its initial opening. The acquisition comes at a time of great growth for Crystalbrook, which will next month open three brand new resorts in Cairns – Riley, Bailey and Flynn. The group says it is planning on expanding further into key Australian tourist destinations in the coming months. 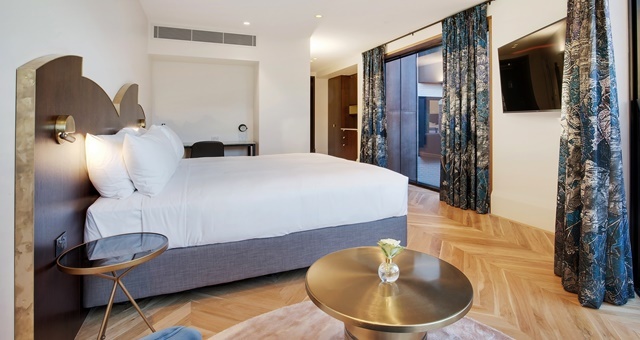 Featuring within a transformed former school convent and heritage-listed edifice originally built in 1903, the 35-room Little Albion Guest House was originally designed and opened by 8Hotels CEO Paul Fischmann and offers guests a historic stay experience backed by 1920s and 1970s-inspired décor and interiors. The property offers guests access to a rooftop garden with views over the city and a high-end bar serving a variety of top-shelf beverages and snacks. Guests are hosted by a team of Surry Hills locals, on hand around the clock. It’s quaint, but the rooftop bar at Little Albion Guest House is a popular hangout for guests. Crystalbrook Collection CEO Mark Davie express his delight at being able to add the Little Albion to the group’s portfolio. “Each of our properties has their own unique style and personality, much like siblings. Little Albion, with its beautifully-chic style and refreshingly unpretentious personality is a natural fit for our collection. “We’ve been looking to add a Sydney location for some time and we could not have asked for a better fit in such an exceptional location,” Davie added. The property is expected to begin trading under the Crystalbrook umbrella before the end of 2018.